"Raffy, baby, come over here......one word: No." 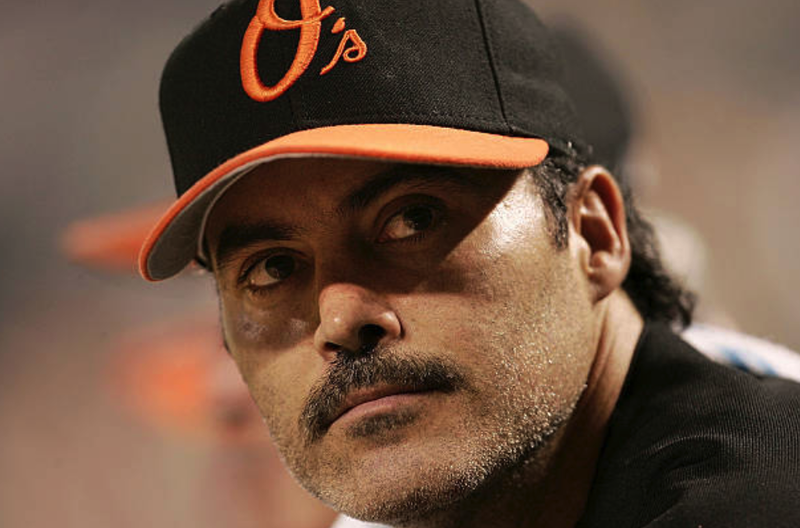 Hopefully, some of Rafael Palmeiro's closest friends have made a similar statement to him in the wake of his attempt at an MLB comeback at age 53. Hey, it's only been a dozen years since Palmeiro played in the bigs—after leaving the game amid a positive steroid test in 2005. Only the great Minnie Minoso played at the major league level after the age of 50—and that was mostly a stunt. The equally great Julio Franco was actually half-way decent in the majors during his 49th year. Oddly, Palmeiro still stubbornly denies he took steroids to enhance his performance—maybe he just liked the back acne. Incredibly, former Red Sox GM Dan Duquette has actually said he might give Palmeiro a shot, stating, "It would be an interesting story". Interesting, maybe. Appropriate? No.